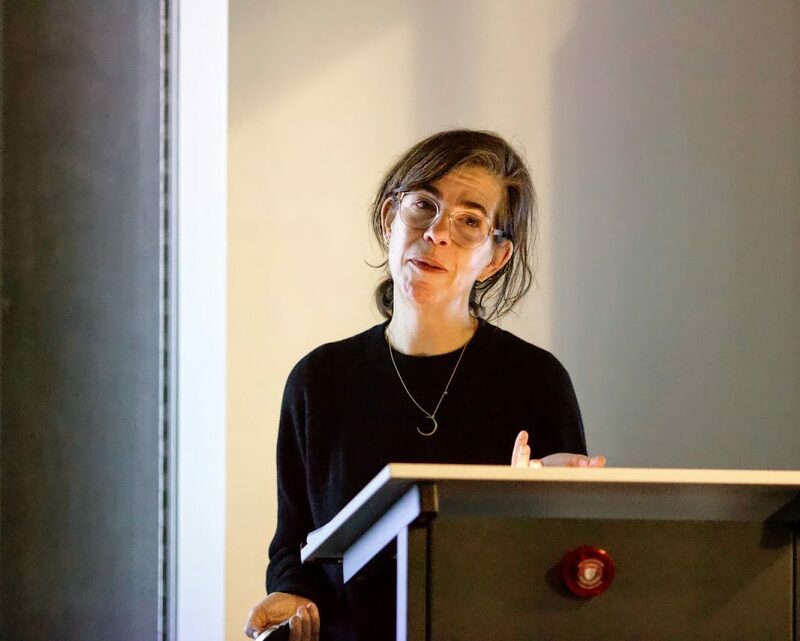 The Art in Focus series got off to a great start on Tuesday night with Professor Katy Siegel, Thaw Chair in Modern American Art at Stony Brook University and Senior Programming and Research Curator at the Baltimore Museum of Art. The subject was Jack Whitten, the noted abstract artist who passed away in January. Prof. Siegel presented a different side of Whitten, known predominantly for his paintings. She highlighted his sculptural works. Fashioned, for the most part, on the island of Crete during his summers away from Manhattan and the art world, these sculptures offer a fascinating blend of materials and inspirations. Whitten drew from African and Greek influences as well as his own experiences as an African American born in Alabama in 1939. 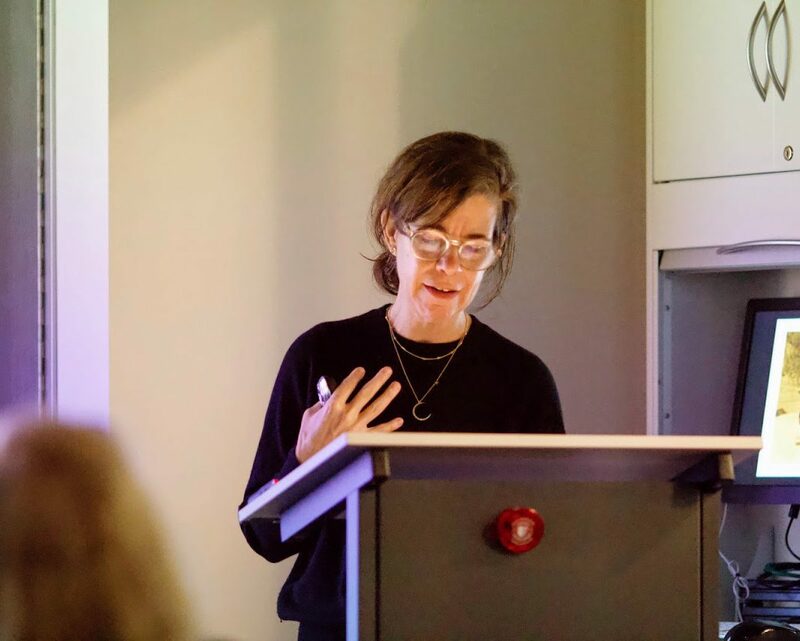 The works Prof. Siegel discussed come from the the exhibit Odyssey: Jack Whitten Sculpture, 1963-2017, currently on view at the Baltimore Museum of Art. She is co-curator, along with Kelly Baum of the Metropolitan Museum of Art. The exhibit will move to the Met in September. 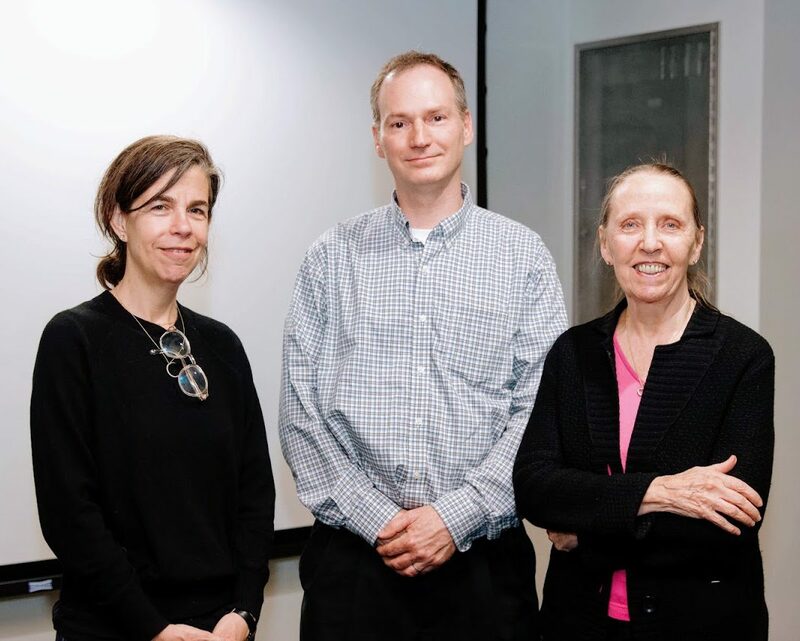 Prof. Siegel (l), Chris Kretz, Head of SBU Southampton Library, and Helen Harrison, Director of the Pollock-Krasner House and Study Center. Prof. Siegel presenting on Jack Whitten. 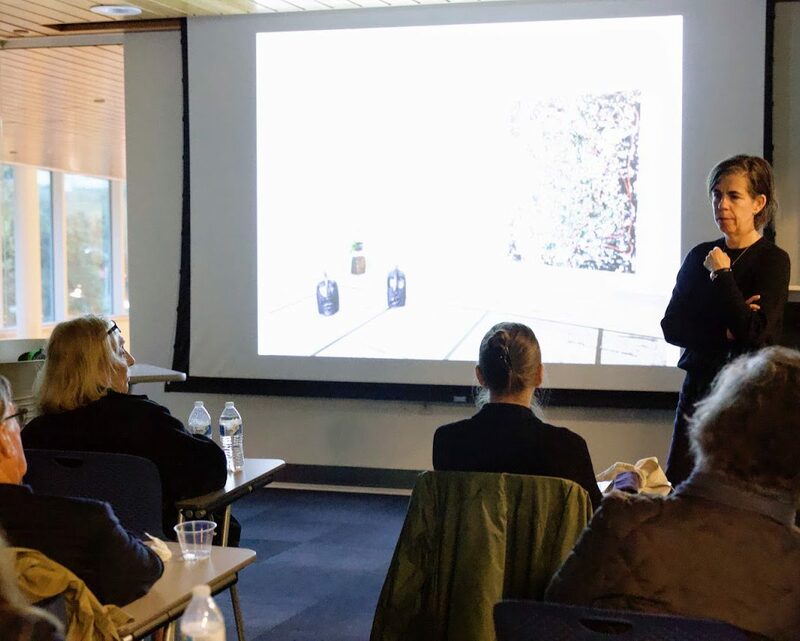 The Art in Focus lecture series is co-sponsored by the Pollock-Krasner House and Study Center and made possible by support from the John H. Marburger III Fund of Stony Brook University. Please join us for our next two events as we explore Jackson Pollock’s murals on June 5th and Rodin’s influence in Asia on June 19th. The lectures are free and open to the public.